We are so thrilled to share the completed renovations of our new & improved Swell Decor studio! We were in need of more storage, more organization, & more space for client meetings. These updates accomplish all of that! The renovations don’t just positively impact our work as designers, but our clients benefit as well. We are excited for the many client designs to be created in our fantastic, newly styled Cotswold Marketplace studio! Padre, père, far, father – Happy Father’s Day to all of the daddy-o’s out there! 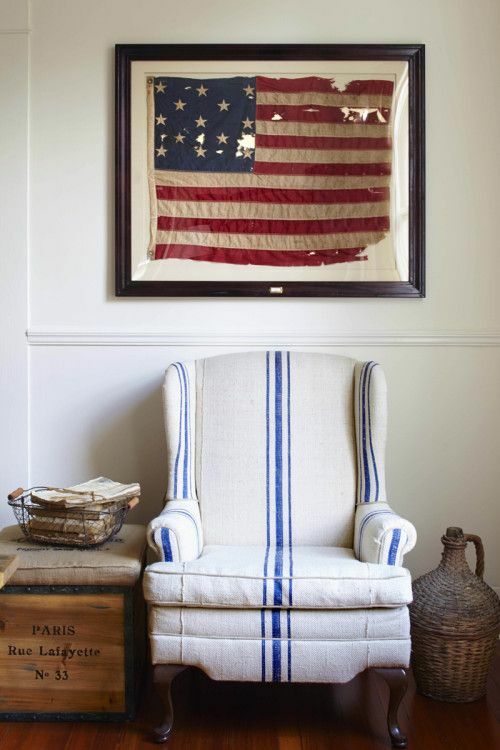 We want to dedicate this post to masculine furniture & decor for style seeking fellas. Decor is not just for ladies, lads can embellish their home too. Detailed artwork, clean cut dining rooms, luxurious leather & more! We love it all & hope you do too – enjoy! Happy Memorial Day!! We hope you all have taken the time to be in thought & remembrance of our servicemen & women. Today we are especially grateful for their sacrifice & the honor they bring to our country. 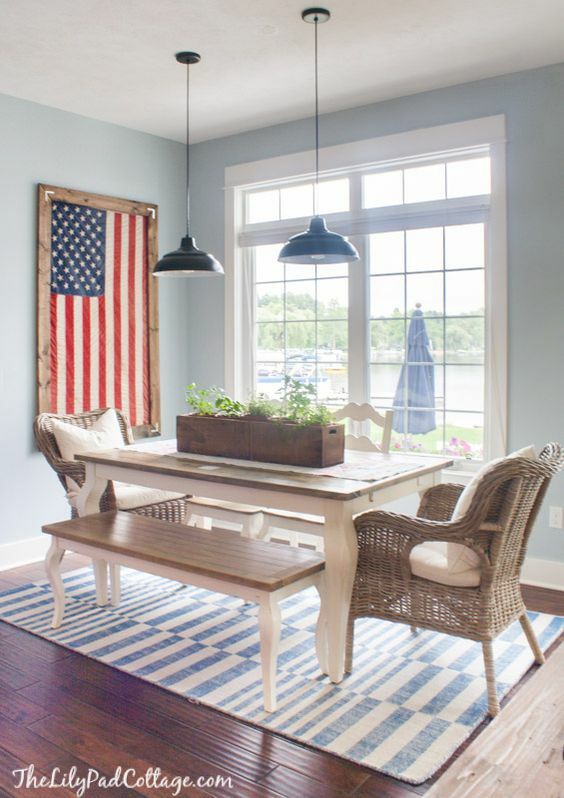 In honor of Memorial Day, & in a couple of months the 4th of July, we thought you all would enjoy these creative designs to hang your flag proudly in your home. Here are a few designs that we love & hope you do too!! America – the land of the free, because of the brave. 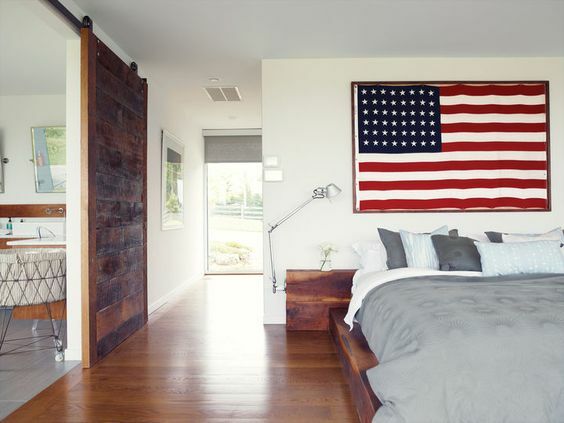 We hope you hang your flag with pride & style! As interior designers we always look forward to new introductions at High Point furniture market, and let’s just say the opening weekend of market 2016 did not disappoint! We fell in love with so many new and clever styles. Here are a few pictures that we wanted to share with you & hope to inspire you. Enjoy! All new obsessions, can’t wait to use them in upcoming projects! Do you ever feel like your storage is a little drab and lacking fab? Don’t sacrifice style for organization when you can have both. An entryway, staircase, bathroom, or office space -no matter the room or size, there are ways to enhance your interior design. Here are some favorites that we wanted to share with you! These baskets make the perfect storage for wash clothes, lotions, and all your bathroom essentials. 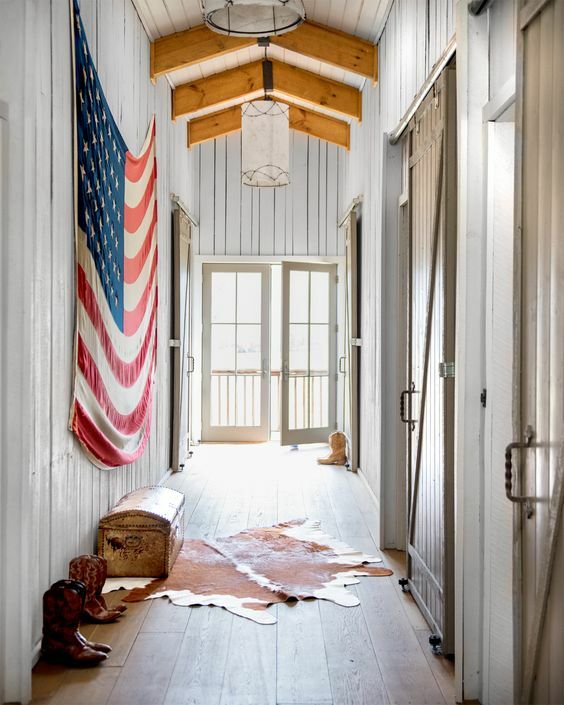 They also look great against the white shiplap. This office space screams a stylish woman: from the floral rug to the pink puff hanging decor. These floating corner shelves are a rustic addition to taking full advantage of wall space. Garages don’t have to be grungy. A splash of color on the door, a bench, and hooks make for great style and storage every family needs. Why have a simple wall under your staircase when you can create storage & a comfy sitting area that compliments this large contemporary staircase. Cutting boards, ingredients, & salt and pepper shakers fit perfectly in this wooden box for a clean, stylish look. If you have a pillow or blanket obsession, this pop up storage under the stairs is a smart way to store them away. Can’t forget about these cute cubbies and sitting area for the kids! Happy spring cleaning & organizing with style!